Jerzy Grzymala-Busse has been with KU's Electrical Engineering and Computer Science Department since 1981. He has taught courses in expert systems, knowledge acquisition, artificial intelligence, con-currency models, Petri nets, data structures, computer architecture and networking, computer organization, theory of computing, switching theory, automata theory, computability, discrete structures, and probabilistic analysis. His research interests include knowledge discovery, data mining, machine learning, expert systems, reasoning under uncertainty, and rough set theory. He first came to KU in 1977 as a visiting professor and bacame a KU professor of Computer Science in 1980. In 1974 he was a visiting professor at the Stefan Branch International Mathematical Center in Warsaw; an associate professor at the Technical University of Poznan from 1973 to 1980; and an assistant at the Technical University of Poznan from 1970 to 1973. He has published three books and over 100 articles in the above areas. He has served as a session chair and in steering committees, advisory committees, and program committees of various international and national scientific and technical conferences. 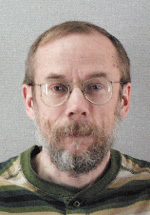 He is a member of the Association for Computing Machinery, American Association for Artificial Intelligence, Upsilon Pi Epsilon, and International Rough Set Society, where he also serves on the advisory board.